In the old grain eating days I could make a mean cheese scone, just ask all my family. Light fluffy and oh so cheesy, I used to have them with jam and whipped cream – heavenly bliss. Well sacrifices have had to be made nowadays, so you can see why I have been searching for so long to find a tasty savoury muffin or scone recipe that isn’t made from wheat. It has been a long search and I have tried out many, many recipes. And believe me I have been disappointed many times, I might add! 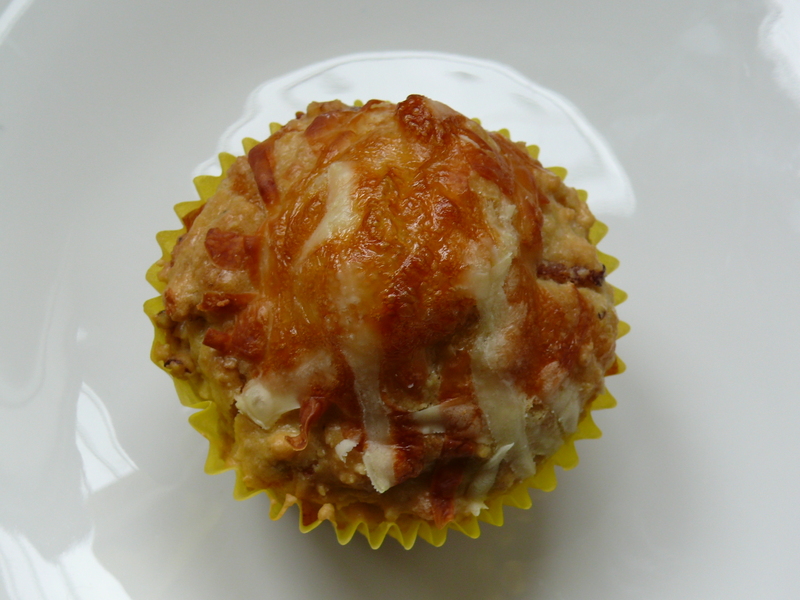 So I was making up my favourite sweet Orange and Cranberry Muffins, thanks to Cook at Paleo, when I had a brainwave. Have a twiddle with that recipe to make it more savoury and see how it works out. Well I did and it did! So here you go! Monday night and after a long day at work I just want to get home, change into comfy clothes and blob in front of the fire. So what to cook that takes minimal effort, hits the taste buds and uses up all the left-overs from the weekend? Fritatta, that’s the answer. 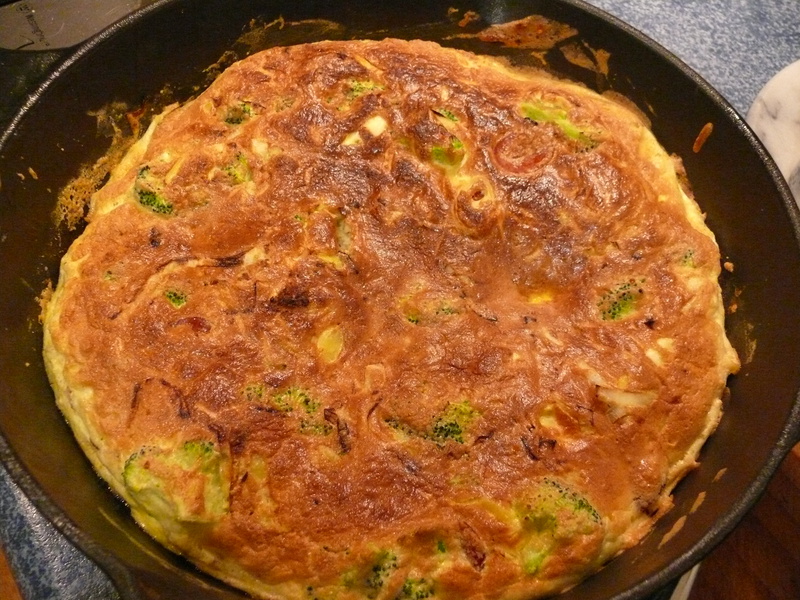 But not just any old “mix up a few eggs and stuff” one, this is super special it’s Soufflé Fritatta. We can thank the lovely Michele Tam over at Nom Nom Paleo for the inspiration for this fluffy little number. This recipe is another one from the More or Less category, so use your imagination for the filling or just chuck in whatever is in your fridge! There are many blogs using a cauliflower crust for their pizzas, but I particularly like the one from The Iron You which I have adapted here. Inspiration for the topping came from restaurants 6,500 miles apart; GPK in Auckland, New Zealand and Jupiter’s Pizza in Berkeley, CA, USA. Both places used sliced potato, so the Primal clean-up was simply to use the more nutrient dense sweet potato. I encourage you to experiment with your favourite toppings. So then, who said this way of eating was restrictive!